Since our 2008 feature in Penn State Ag Science magazine, "The Case of the Missing Bees," our researchers—and others across the University—have made great strides in understanding more about Colony Collapse Disorder (CCD) and exploring overall bee health. "Interestingly enough, nationwide annual surveys of colony losses over the last several years have shown that CCD is not the main reason for beekeepers’ losing their bees," says Christina Grozinger, associate professor of entomology and director of the Center for Pollinator Research. "While we continue to study CCD, we’ve shifted our primary focus to overall bee health and colony losses. 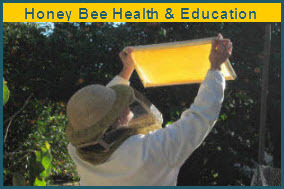 CCD helped bring people’s attention to bee health and raised awareness of all the stressors that bees were dealing with. These stressors include pesticides, the varroa mite, poor nutrition, and viruses." The university-wide Center for Pollinator Research, established in 2009, brings together 27 faculty members who are involved in pollinator research, education, and outreach to study the factors that affect pollinator health and come up with creative approaches to pollinator conservation. Here’s a sampling of the things they’re working on. Entomologist Chris Mullin has a saying: "The formulation makes the poison." Mullin and his colleagues, entomologists Jim and Maryann Frazier, have found that more than 90 percent of U.S. bee colonies are contaminated with pesticides—with six pesticides per colony on average. He points out that, while much pesticide research is done with the pure insecticide chemical, what happens in the real world is different. 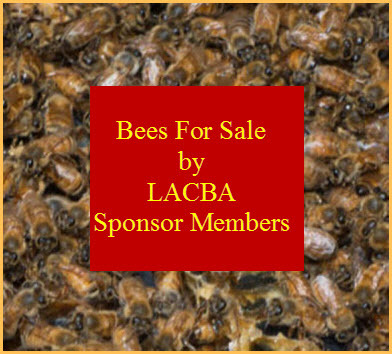 Pesticide formulations available for over-the-counter purchase contain ingredients that are considered inert, but when combined with the active ingredients they can be toxic to bees. Mullin is looking into how these not-so-inert ingredients are affecting bee health. Researchers are exploring the idea that nutrition is an underlying factor when it comes to bee stressors. In one project, bees that were fed a pollen diet were more resistant to pesticides than bees fed soy protein or no protein. "We think that if we can improve bees’ nutrition we can bolster their ability to deal with stressors," Grozinger says. The best way to keep bees healthy, researchers believe, is to select for bees that can resist pesticides and disease on their own. To that end, scientists from the Center for Pollinator Research are working with local beekeepers to establish the PA Queen Project, aimed at developing resistant locally adapted stocks of bees. Plans are under way to construct a large pollinator garden in the Arboretum at Penn State. From its location next to the children’s garden, it will help make visitors aware of pollinators and showcase the work being done at the Center for Pollinator Research.